FoolProofMe - New or Used? What Vehicle Purchase Is Right for You? New or Used? What Vehicle Purchase Is Right for You? Is it time to replace your current vehicle? Before you head to a dealership showroom, lot, or online, start with the following tips and then check out our Car Buying Guide. For years, my advice has been always consider a late model used vehicle to get a reliable ride while letting the first owner take the substantial depreciation in value that occurs when you drive a just-purchased new vehicle off the lot. When thoughts turn to getting a new vehicle, most consumers think first about what type of vehicle they want and whether they want to purchase a new vehicle or a late model used vehicle. For years, my advice has been always consider a late model used vehicle to get a reliable ride while letting the first owner take the substantial depreciation in value that occurs when you drive a just-purchased new vehicle off the lot. But it's also smart to take a good look at what's going on in the automotive market. Lower gas prices can increase the demand for SUVs and other larger vehicles, while higher gas prices can increase demand for compact cars and others that have good fuel economy and for hybrids. People looking to save money are thinking "used" more often. So what should you do? While it's important to know what's happening in the automotive marketplace, there are two primary questions that you need to answer first to help you make the best decisions in the auto-buying market, whatever its conditions. First, how much money do you have to spend on a vehicle? Second, what vehicle is right for your and your family's needs? Knowing the answers to these two questions will help you make the right choices in the auto-buying arena. 1. How Much Money Do You Have to Spend on a Vehicle? All these factors added together represents the total sum of money you have to buy a vehicle—including sales taxes and fees. Staying within that figure will keep you on budget. Chapter 2 of the Car Buying Guide shows you how to determine these figures and thus how much money you have to spend on a vehicle. 2. What Type of Vehicle Do You Need? This is the second important question. Let your needs (not car fever dreams) drive your search. What are your requirements for the vehicle? Do you need a car for commuting? A minivan or SUV for hauling the kids? A pickup truck for work? Make a list of the characteristics and features the vehicle should have. Use this list to help you narrow down your choice of vehicles. Consider which vehicles have price ranges that fit within the budget you've just determined. 3. Will You Buy New or Used? Now that you've determined your budget and requirements for a vehicle, research both new and used vehicles that fit them. Ask these questions for each vehicle you like. 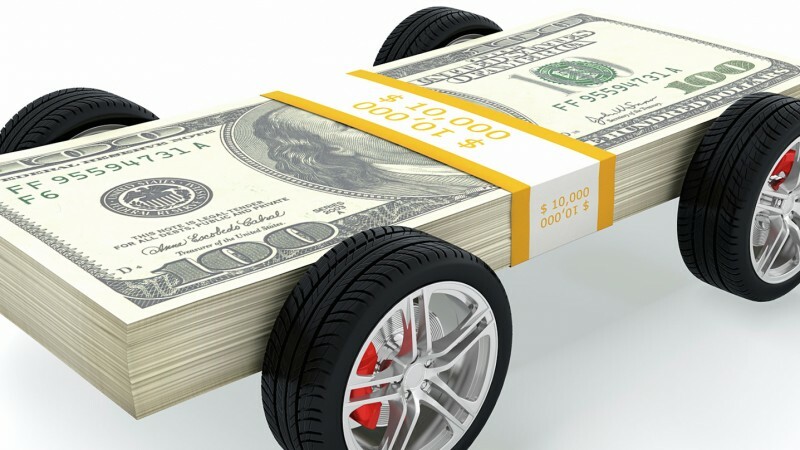 Does the vehicle fit your budget? What did the vehicle cost the dealer? Websites such as Edmunds.com or NADA Guides provide MSRP figures for new vehicles and average retail and wholesale prices for used vehicles. These guides also provide dealer cost for new vehicles and wholesale prices and "loan value" for used vehicles. Our Car Buying Guide tells you how to use such guides effectively. What's the vehicle's safety test record? Check out the crash tests on new vehicles from both the National Traffic Highway Safety Administration (NHTSA), which performs frontal and side crash tests, and the Insurance Institute for Highway Safety, which performs offset frontal tests. For a subscription fee, you can access Consumer Reports for safety and reliability information for used vehicles. The Center for Auto Safety also provides information on a variety of automotive safety issues. What are the insurance and driving costs for the vehicle? Chapter 3 of our Car Buying Guide has other resources to help you checkout a vehicle. Why look at both new and used? A wisely bought used vehicle can be a much better buy than a new vehicle. That can be true even with higher used car values. What are the advantages of a new vehicle? Everything about it is brand new. Maintenance and repair costs are low. Some new cars with rebates may be very close to the higher prices some popular used models are getting. Disadvantages? As soon as the car is titled, it's considered a used vehicle. A new vehicle depreciates rapidly in the first two to three years. What are the advantages of a used vehicle? You can typically buy more vehicle for your money. It depreciates much more slowly than a new vehicle. Ownership expenses such as collision insurance and taxes tend to be lower. Disadvantages? It takes more time to properly check out a used vehicle before purchasing than a new vehicle. Wholesale values and asking prices vary from vehicle to vehicle and seller to seller. Maintenance and repair costs may be higher than a new vehicle. Before you set foot on the car lot (or start shopping online), shop your financing. Get pre-approved at two lending sources. Make one of those sources a credit union. Why? Generally, credit union car loans are cheaper, according to most studies. And if you're buying a used vehicle, a credit union car loan can be a lot cheaper. If you have credit problem, or little credit, a credit union loan can really be cheaper. Now that you know your budget and the vehicles you want to look for, it's time to go shopping. You're ready to buy a vehicle. Our Car Buying Guide shows you how to negotiate the sale the right way to get the vehicle you want at the price you've budgeted. And that's a win for you and your wallet.